All of our most popular crosses, already done for you. We'll do all the pre-work, so you can spend more time with your students. F1 adults will emerge approximately 12 days from date stamped on file. 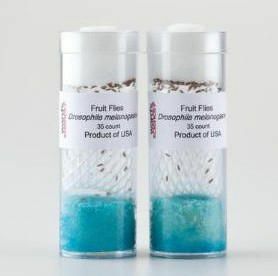 To create an F2 generation: Once the flies have matured, place five or six sets of males and females into a clean vial with food. You do not need to select virgin females for this step. Ordering information: For best results, please call our customer service department to place an order for these items.